While on book tour, I visited Salem and got to see the House of Seven Gables! So I am pumped on Hawthorne. How many people have had to read this and suffer essays over the pink ribbons and etc? I used to think that for literature to be REAL it pretty well had to be chock-full of allegory and symbols. But for real, I do love it when my comics get used in a classroom setting, and I often hear from teachers who do that to warm the class up to a topic. That's great! I should ask for a list of books to cover for this reason. Feel free to email, teachers! 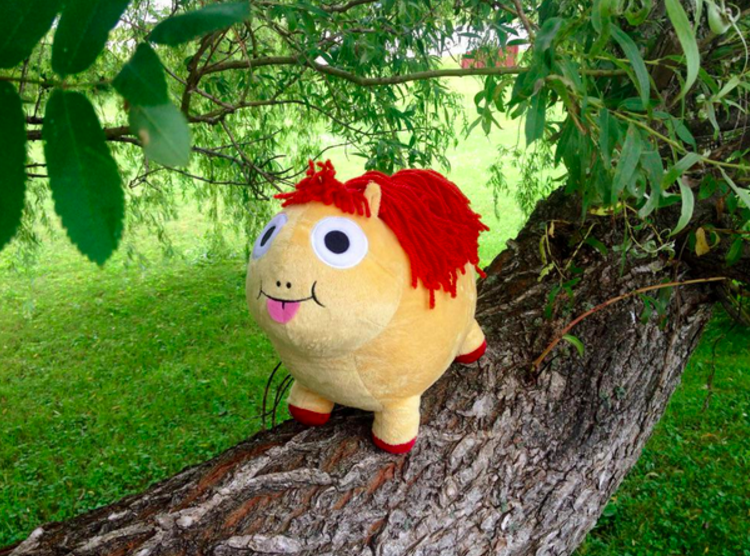 We ordered 1200 of these fat little stuffed ponies, and they finally arrived at Topatoco! They will go on sale MONDAY, NOVEMBER 2. I don't know how fast they will sell, but we do anticipate them to sell out, so get there early! And if you miss it, don't worry, there are 1200 more on the way, except they won't be in time for the holiday season. It took a while but we are so happy with how they turned out, they are 100% cuddly and adorable and I have first hand seen kids go crazy for them. The best. Here is the link to my store, check it out on Nov. 2!